(Solo piano with prerecorded digital audio). Commissioned in 2010 by pianist Teresa McCollough. 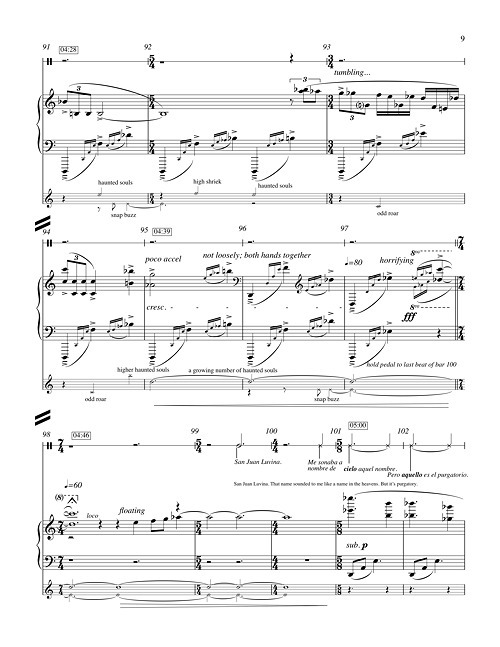 Premiered in November 2010 in Santa Clara, CA by Teresa McCollough, piano. Audio excerpt demo recorded by Alex Shapiro. Audio of the voice of Juan Rulfo reading from his short story, Luvina, gratefully used with permission of Fundacion Juan Rulfo. Commissioned in 2007 by pianist Ana Cervantes. 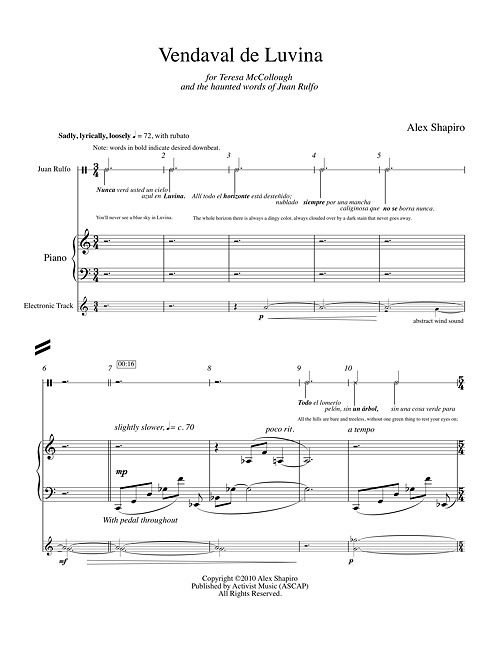 Premiered in November 2007 in Mexico City, Mexico by Ana Cervantes, piano. Recorded by Ana Cervantes, piano. Score and audio track available for $25.00 print, or $17.00 digital, from Activist Music. 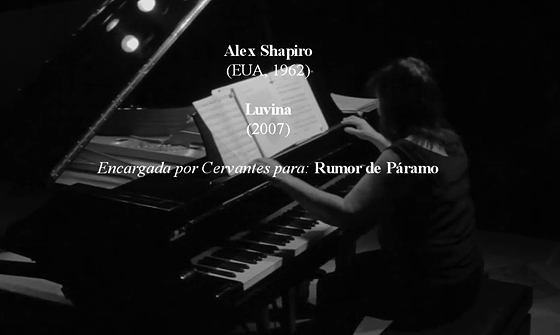 The acoustic version of Vendeval de Luvina, titled Luvina, is among the works included in Shapiro's 2019 album release of her piano music, recorded by Adam Marks at the Yamaha Artist Services studios in New York City. Festival Internacional Cervantino in Guanajuato, Mexico, October 2015. (The music begins 55 seconds after Ana's spoken introduction).